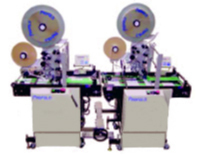 Profold RSC Tabber - Roberts Business Machines, Inc. The RSC, which stands for Rapid Spool Change, will save customers labor and reduce the time required to reload tabs by the addition of a second spool. 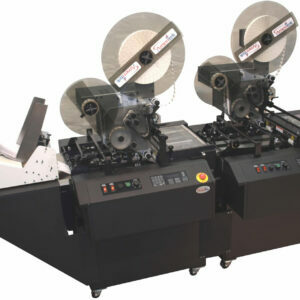 By doing this, the operator can load a second spool, which then is spliced to the first spool using just a simple splice. 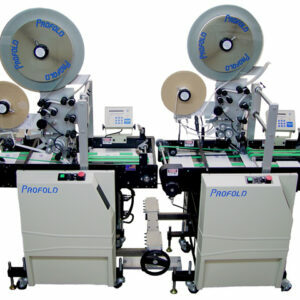 This new function reduces the down time and allows longer production time, approximately one hour per day. This unit easily runs in-line or as a stand-alone unit. 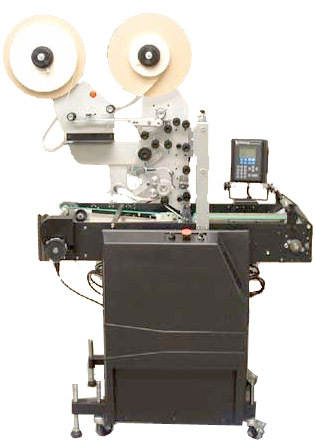 The RSC provides the mail-handling industry with new, exciting upgrades and options while maintaining the shop proven reliability that our LINX Tabbers are known for in the industry. These new upgrades and options include the ability to store up to ten job set-ups, PM Software and Shop Oriented Interface.